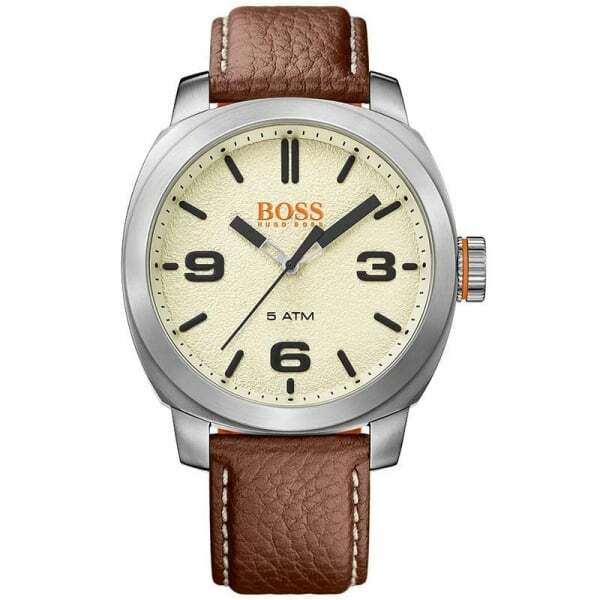 With a more modern style to their range Hugo Boss Orange watches can be found with denim straps, which is the same material used on Hugo Boss Jeans, sleek stainless steel, rubber or premium leather straps. With a more colourful side to the range Hugo Boss Orange watches for men and women also has an appeal to a younger audience. Contrasting dials with coloured brand logo featured on each watch face brings the look into the modern realm, whilst the additional features such as day and date functions assure excellent performance. Hugo Boss Orange offers a more youthful style to their designs, but still adheres to the impeccable style set by the main Hugo Boss brand to ensure the ultimate in quality and designs. All men’s watches and women's watches from this range come with a 2 year manufacturer guarantee for peace of mind. When you’re searching for a new watch it’s important that you look for style, comfort and performance to get the most out of your purchase. Here at Hillier Jewellers we stock a fantastic selection of watches, with our range of men’s watches featuring designer timepieces from brands such as Citizen and Seiko.